Venue: SE111, UTAR Kuala Lumpur campus, Setapak, Kuala Lumpur. 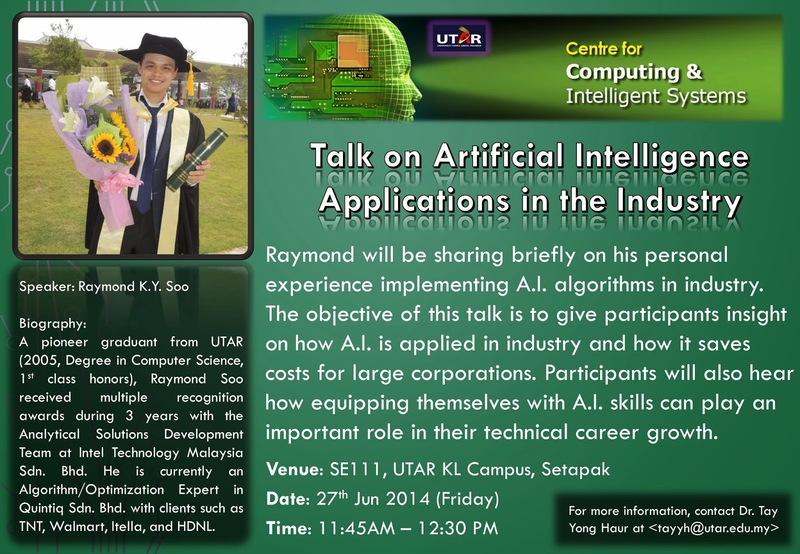 Raymond will be sharing briefly on his personal experience implementing A.I. algorithms in industry. The objective of this talk is to give participants insight on how A.I. is applied in industry and how it saves costs for large corporations. Participants will also hear how equipping themselves with A.I. skills can play an important role in their technical career growth. Speaker: Raymond K.Y. Soo, Quintiq Sdn. Bhd. A pioneer graduant from UTAR (2005, Degree in Computer Science, 1st class honors), Raymond Soo received multiple recognition awards during 3 years with the Analytical Solutions Development Team at Intel Technology Malaysia Sdn. Bhd. 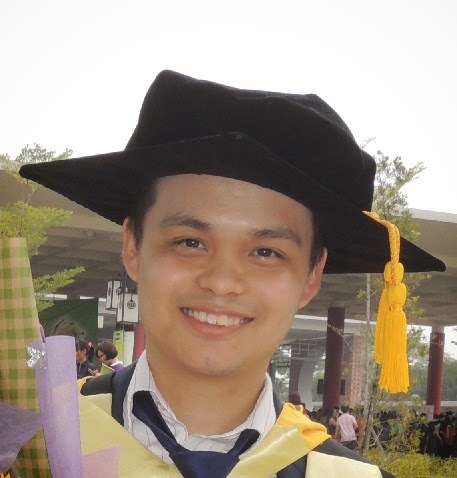 He is currently an Algorithm/Optimization Expert in Quintiq Sdn. Bhd. with clients such as TNT, Walmart, Itella, and HDNL.